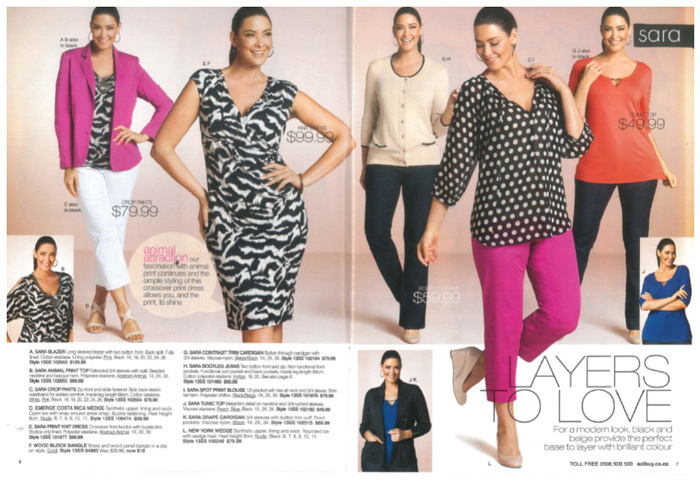 Over the last 20 years, plus size fashion in New Zealand has changed quite dramatically. Not just in terms of what is on trend, but also what’s available and how it’s designed. Plus size clothing options circa 1998 were pretty limited – I remember watching the plus size people I knew getting dressed and it was less about expressing themselves through their clothing choices and more about finding clothes that fit. There were some who were dab hands with sewing machines and made their own cool clothes, but for those of us wanting to buy something off the rack there were lots of busy prints, more mature styles, and quite a few “drapey” pieces that were more about hiding curves than celebrating them. 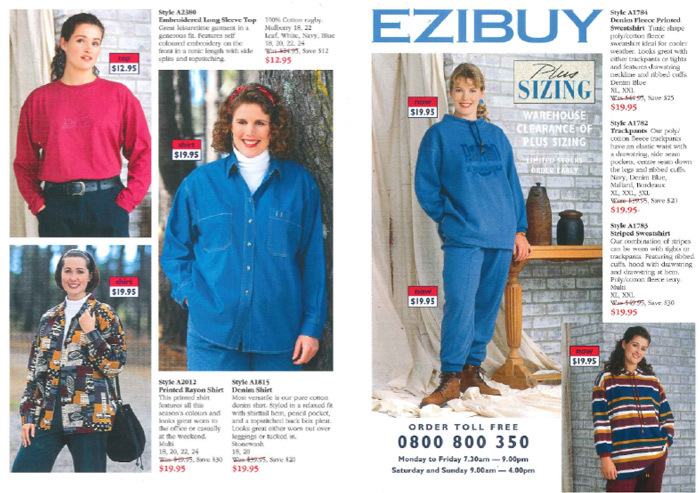 Images 1-4: 1995 to 1999 to 2014 to 2018 – EziBuy’s plus size range Sara has changed over the years, now sporting better fabrics with good stretch and retention to fits that are tailored for curves. These days, more clothing is specifically designed for plus size bodies, which means that there are options out there not just for a range of sizes but also a variety of different body shapes. 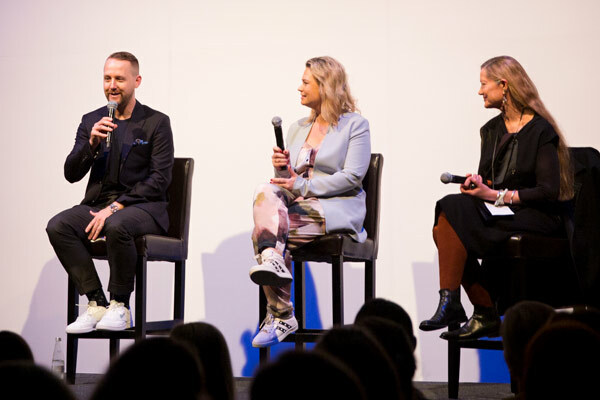 I spoke to a number of New Zealand plus size fashion designers and buyers and one thing they all agreed on is that there are more fashion forward choices available in plus than ever before, both locally and globally. We are now seeing the same trends in straight size and plus size fashion, and funnily enough, we’re going through a bit of a 90’s resurgence at the moment with camo print, skirts/dresses over trousers, bum bags and scrunchies just some of the things that have made a comeback. If you’re size 22 and want to rock the same cool trends your size 12 friend is wearing, then the likelihood of being able to find that is so much greater (although you will more than likely see those trends interpreted in different ways). As Zebrano Director Jenny Smith mentioned, probably the most significant difference between 20 years ago and now is the understanding there is just the same diversity of age, and taste/design preferences, and the same insecurities around various body parts in the plus size market as you’ll find amongst people who wear straight sizes. 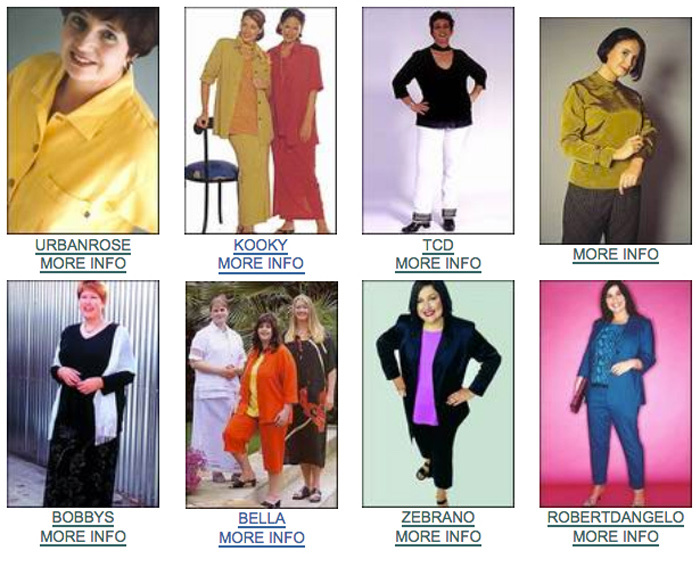 A snapshot of plus size fashion circa 2001 from the FashioNZ archives. Anna Stewart (Lead Buyer for Womenswear at The Warehouse) and Kylie Niovara-Dave (Designer at Chocolat) both observed that fashion has become more casual over the last 20 years, across both straight and plus sizes. We are seeing more jeans, tees, soft fabrics and sneakers, and plus size options have become more available in this area. 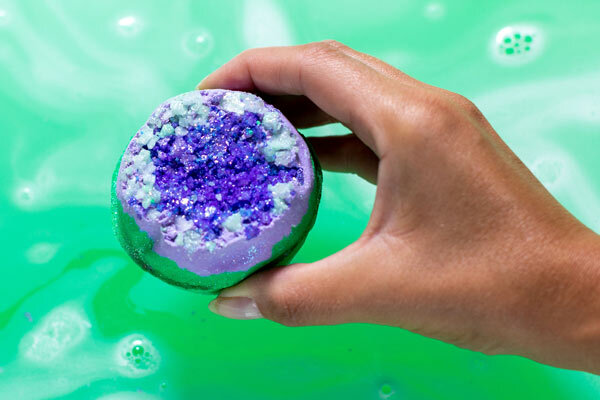 A lot of people are throwing out traditional rules in fashion such as wearing suits for work and wearing sparkles only for special occasions (casual sequins? Bring them on!) – fashion as a whole has become more adventurous and less rigid. Chocolat Winter 2007 to Winter 2018. The rise of the internet, popularity of social media and being able to more easily see what fashion trends are happening overseas has impacted the way Kiwi women approach style – especially those of us over a size 14 who traditionally haven’t seen bodies similar to their own represented in fashion. 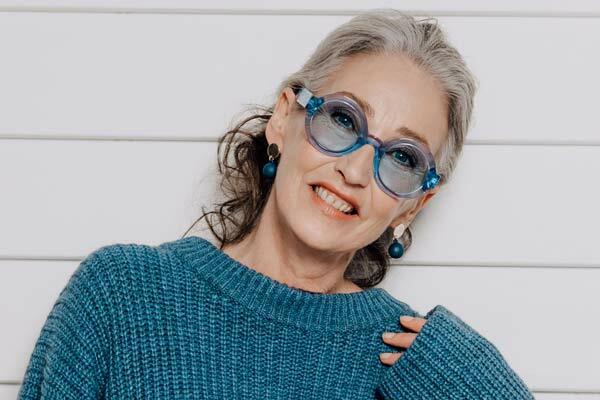 Rachel Korpus, Marketing Manager at K&K, says that Kiwi women are much more savvy and knowledgeable about new trends, emerging trends and are willing to adopt new styles more quickly. We can see what celebrities are wearing, we can follow our favourite bloggers and fashionistas on social media, and we can watch runway shows in New York and Paris without leaving the comfort of our couch – you no longer have to wait for a monthly or quarterly magazine to be published. You can curate your Instagram feed so that you can see people with bodies the same shape and size as yours, and be inspired by what they wear and how they style things. You can discover new brands, new designers and new trends faster than ever before, and you can even give your feedback to your favourite brands about their latest season collection. In fact, the internet has opened a lot of doors for plus size Kiwis – not only can we see what other people are wearing online, we can also shop online, both from local retailers and global ones. Global access to clothing has meant that we have more options than ever before – if you can’t find what you want in your style or your size at your local store then chances are it will be available somewhere else in the world. While that added choice may initially appear positive, there is no denying that it’s had an impact on our local fashion industry. Fewer dollars being spent with local retailers means that we have seen fabric houses closing and the amount of production being done in New Zealand has lessened, and of course this is seen across all clothing sizes. Lost and Led Astray designer Sarah-Jane Duff mentioned that it is hard to keep up with how fast bigger companies can work compared to small New Zealand labels, but as we are seeing more people interested in sustainability and buying local, hopefully this will be reflected with more interest in slow fashion from local designers as well. Just as we are seeing people being more environmentally conscious in their everyday lives (e.g. using reusable shopping bags and cutting back on their consumption of single use plastic), we are seeing people become more aware of how their clothing is produced. We are more concerned about workers rights and conditions, animal welfare and production methods used, and demanding more transparency around these things. In terms of plus size fashion the rise in popularity of online shopping also means that we’ve seen some of the boutiques around the country move from just catering to the people in their local area to also opening online stores, giving customers all over the country a chance to shop with them, and for smaller independent designers to open their own online shops. EziBuy’s Plus Size Buyer Leigh Finlayson recognises that the demand for plus fashion in NZ is increasing and it looks like online shopping is not letting up – great news for those Kiwis who like to shop from the comfort of home. However, while it might seem like shopping online is taking over, rest assured that brick and mortar stores do still have their place alongside the online options. There is a lot to be said for being able to try things on before buying them, being able to feel fabrics and try things on to make sure they’re right size and style for you, and you have the added bonus of personalised service from staff in store. The Warehouse is one of many brick and mortar retails that now offers the option to shop online as well. So where is the future of plus size fashion in New Zealand headed? 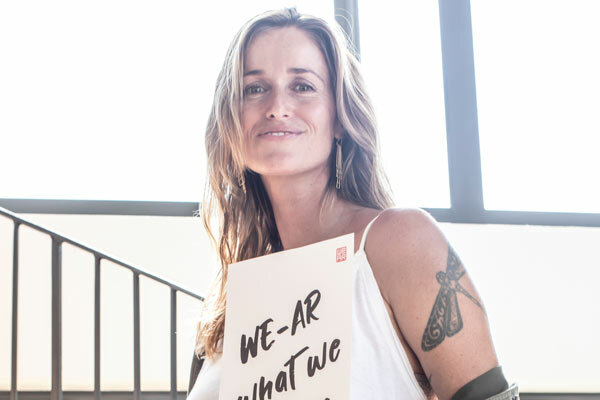 There are three key things that we think will continue – more focus on slow fashion, more options in line with mainstream trends and increased availability of plus sizes.